Sepia-toned image of a small wooden building with a classical facade and false front. A single large window fills the front of the building, with a door to the left. 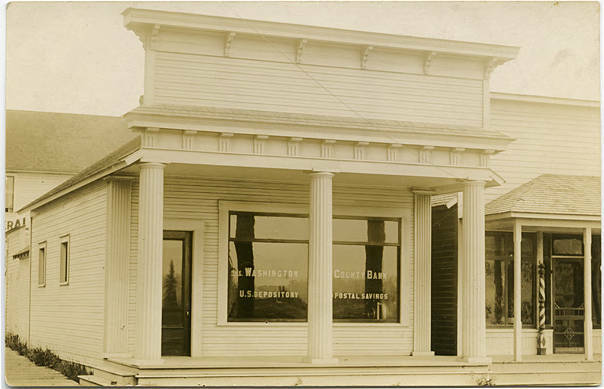 Written on the window is 'Washington County Bank, U. S. Depository, Postal Savings.' Postal savings were certificates that could be purchased at local post offices and offered an alternative savings method to rural citizens who did not always have access to a bank. 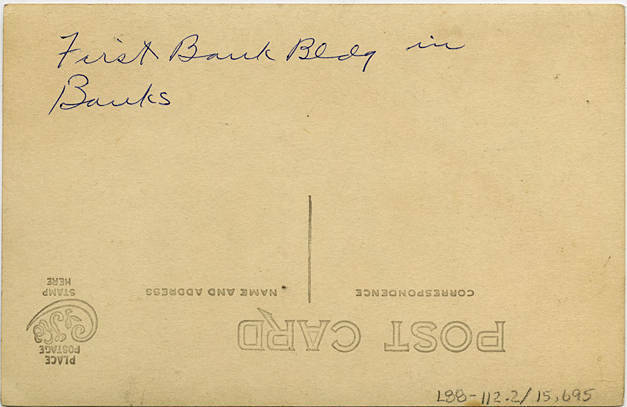 Postal certificates and bonds could be cashed in at banks such as this one, which were official depositories of the system. Another building sits next to the bank, and a boardwalk runs in front of it and down the far side. The Washington County Bank was founded in 1909.